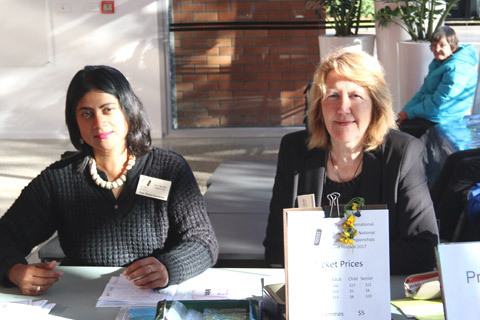 Raji Balachandran and Christine Johnston at the front desk. 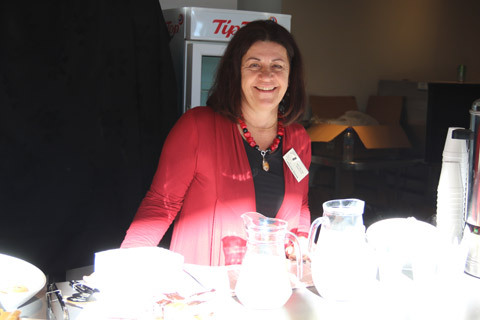 Catherine Giorza in charge of canteen. 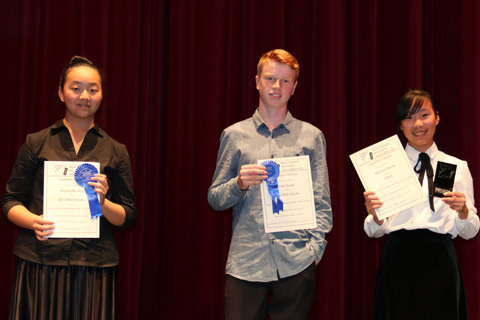 Annabelle Ding, Eric Max, Lian Jones, Alanah Jones, Andy Max. 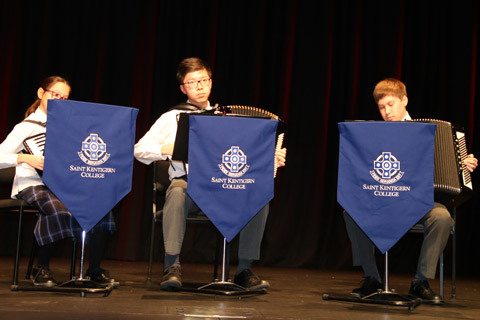 Quartet: Rongjia Shen, Chen Yang, Zeyuan Niu, Mengyang Li performing "Random Thoughts of Uliger"
Adam Perry and Owen Fan. 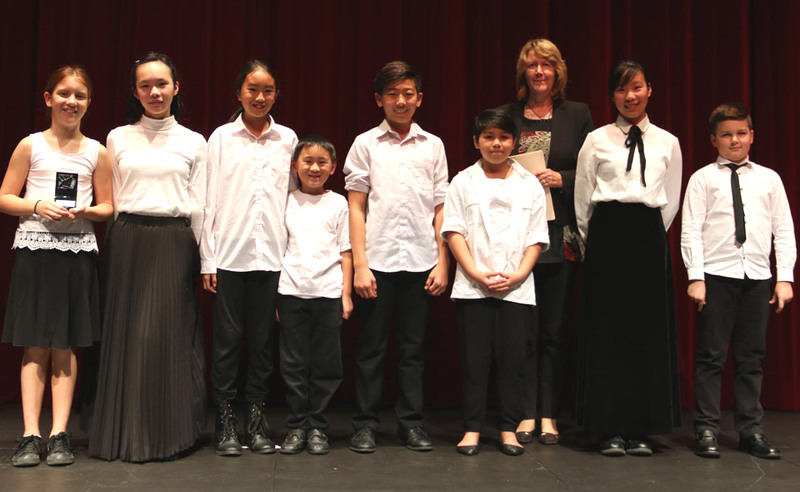 Emily Healy, Eric Max, Alina Reekie, Andre Samotoi, Valerie Tay, Melinda Wang. 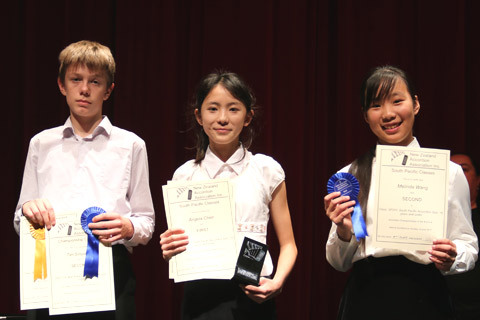 All the contestants of the South Pacific Trio/Ensemble category. North Shore Music Makers presentation. (who passed away last year) and to Frank Vilich (who had passed away a few days ago). 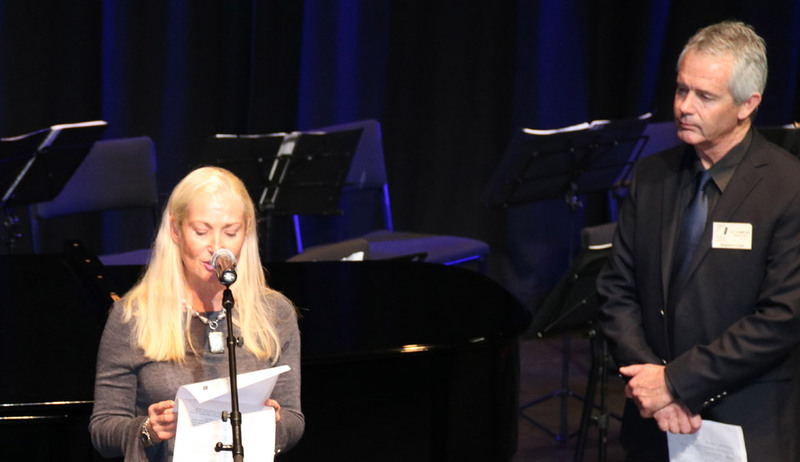 Compere Stephen Cope led the "minute of silence" in honour of Frank Vilich and Dorothy Taylor. Frank's musical career commenced at the tender age of five years when his father gave him a ukulele. 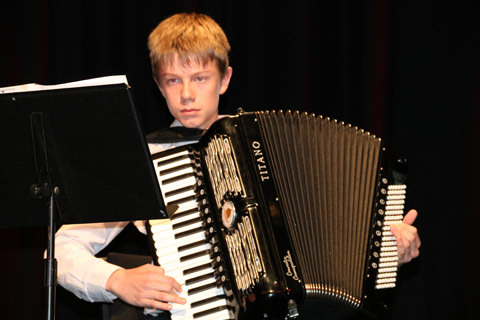 Although his father was a guitarist and singer Frank's preferred instrument was to be the accordion. 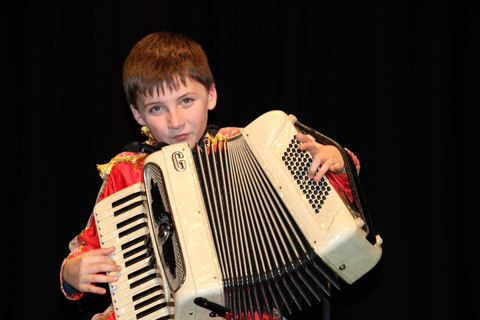 He was given a concertina when he was seven, and an accordion for his 10th birthday. His early years were spent in Australia where he learned drums, playing them in the Broken Hill Junior Boys Brass Band. 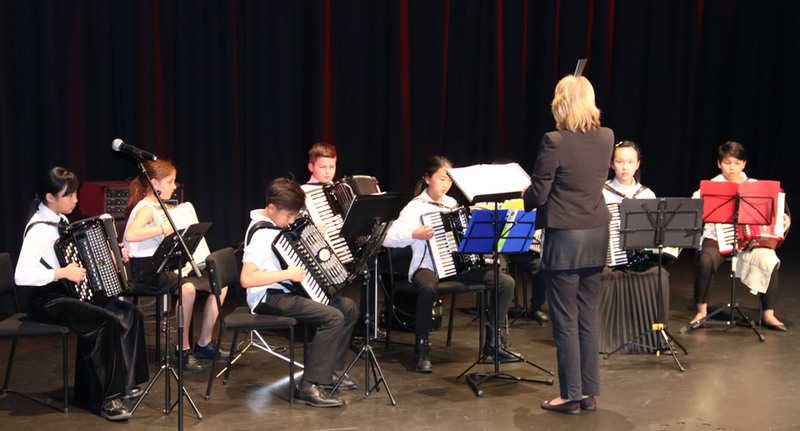 In these early years, Frank was involved in entertaining as a child accordionist on the radio and later while in Sydney he formed his own dance band. 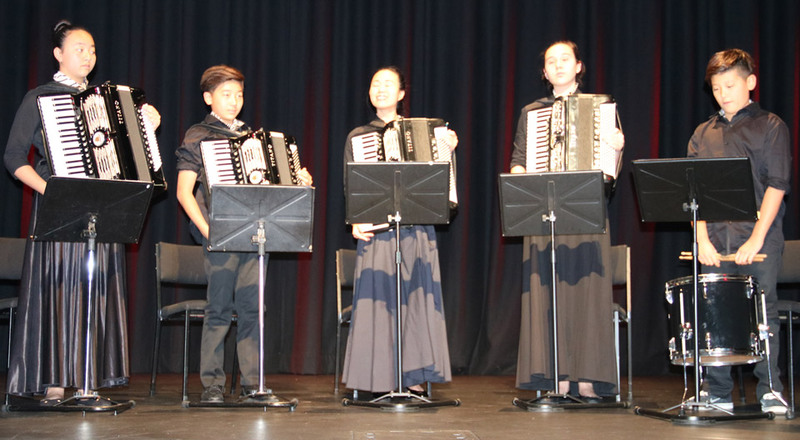 While living in Sydney his accordion was stolen from a train, but this misfortune was compensated for, when he made music with a Dalmatian group, an activity he loves and is renowned for. In 1951 Frank made a visit to NZ where he travelled to Dargaville to meet a number of his countrymen who reside in that area. One evening he was invited to a dance and on returning to his seat, he found a lady and her very attractive daughter had occupied his vacant seat. He soon became acquainted with that beautiful daughter Stephanie Sutich and she became the reason he stayed in NZ, and a little later she became his wife. 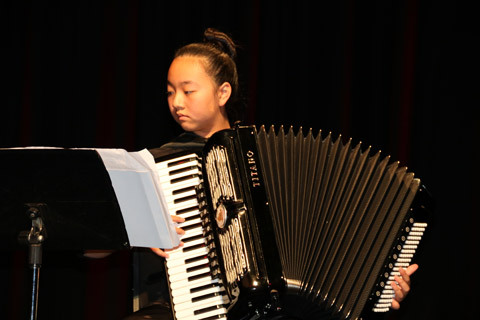 After he settled in Dargaville, Frank was to contribute to making it one of the centres of the accordion in NZ. 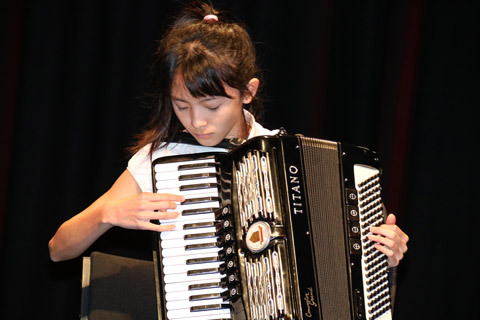 Although a small town, at its peak, it boasted six accordion bands and has produced some of NZ's best accordionists. 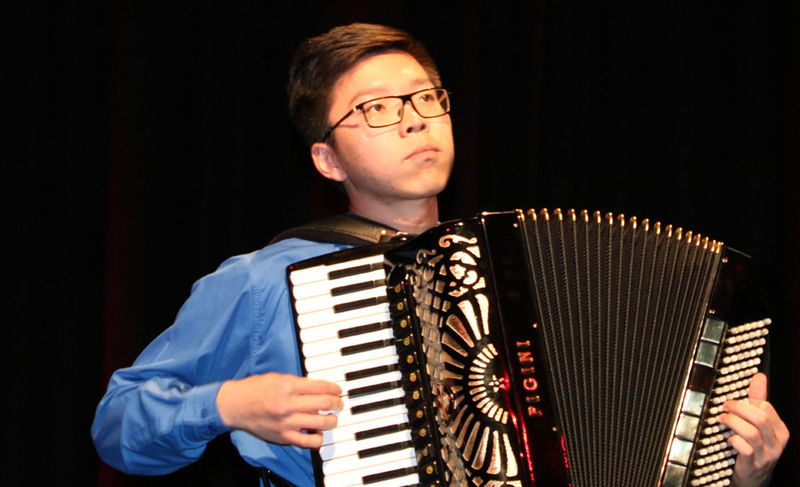 Frank soon started teaching the accordion and formed the Frank Vilich Accordion Band (FVAB) as well as performing with the Dargaville Tamburica Orchestra. 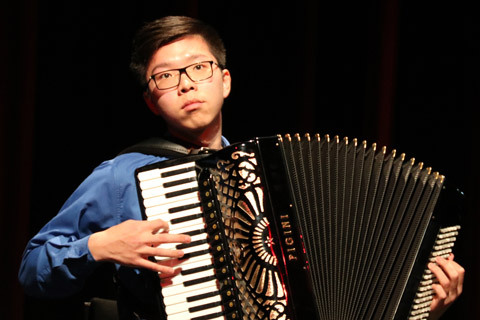 His accordion band never accepted fees for their performances even though they travelled over much of Northland and performed ten or twelve times per year for many charity functions. They were instrumental in raising thousands of dollars for these charities. The accordion Museum in Dargaville currently has memorabilia on display from these times. It was a sad day for Dargaville when Frank left to live in Auckland. 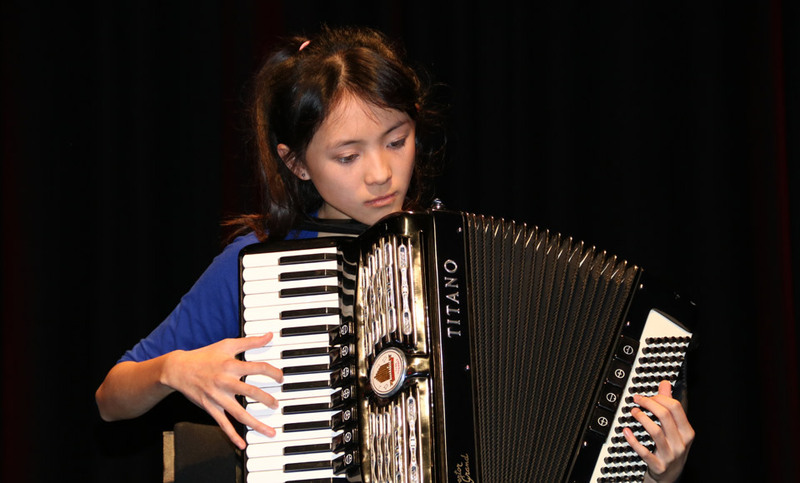 However Auckland has benefited from his enthusiasm for music and the accordion and once again Frank began teaching and formed the Frank Vilich Revival Accordion Band, which, as it had done in Dargaville, delighted so many people with performances of Dalmatian and other types of music. Here in Auckland the dominant feature has been helping good causes without accepting remuneration. Frank often returned to Dargaville to entertain at various functions held by the community. 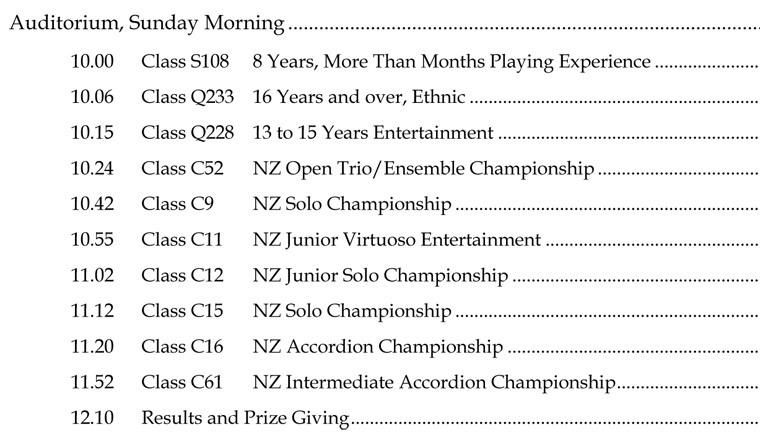 In addition to these activities Frank has judged regularly at the NZ Accordion Championships, and played for a number of years at night clubs and restaurants. During his brief tenure as President of the NZAA he initiated a picnic and a regular Association Ball. 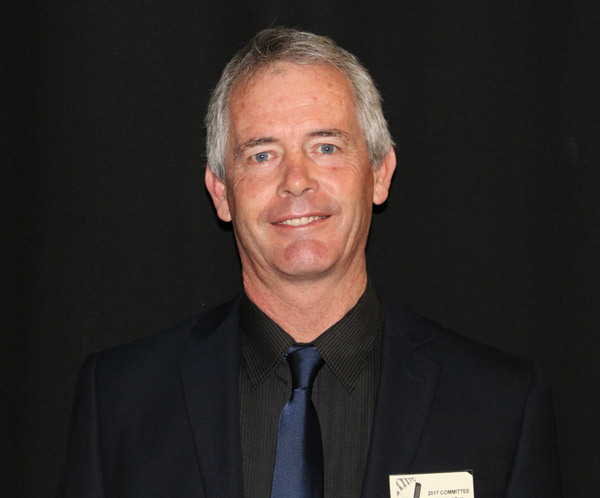 While living in the North he was a member of the first music group to make a recording in that area and in later years while residing in Auckland he has recorded for local radio stations. 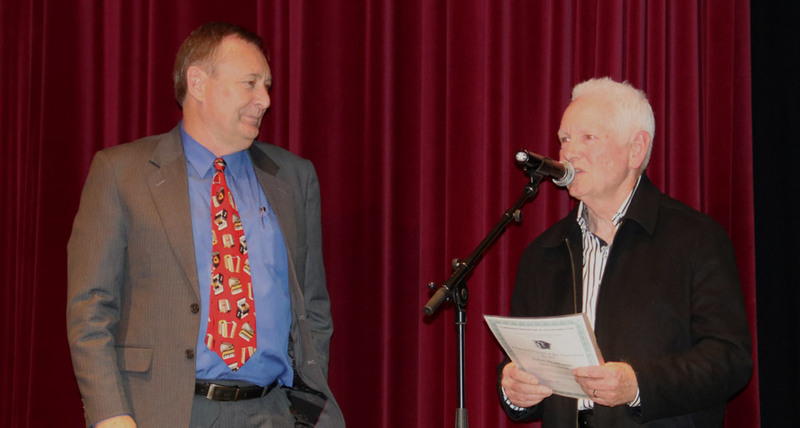 Frank is a Life Member of the New Zealand Accordion Association. 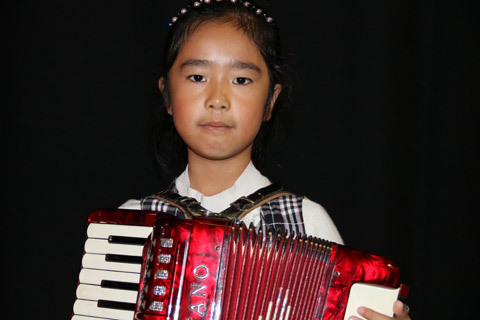 In 1990, Frank Vilich was awarded the Accordion Examination Board of New Zealand Merit Award. 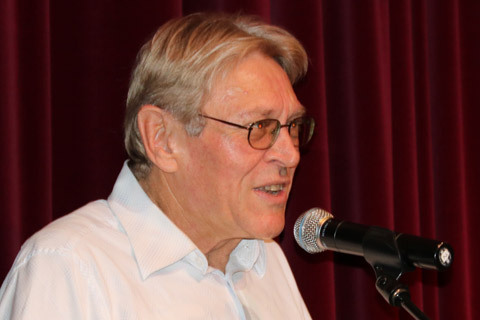 In 1996 Frank Vilich was awarded the Queen's Service Medal for Community Service (QSM) in the New Zealand New Years Honours of the NZ Government. 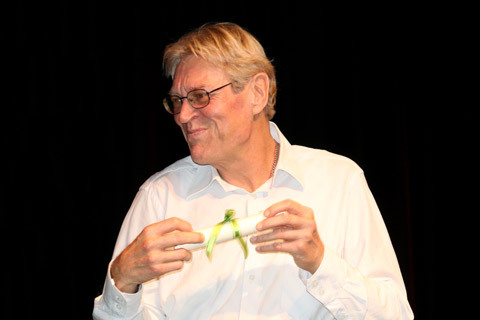 Frank has entertained at retirement homes for many years, both in groups and as a soloist. During his lifetime he has given pleasure to tens of thousands. Thank you Frank Vilich. Requiem Mass to celebrate Frank's life will be held at 11am on Tuesday 6 June also at Christ the King Catholic Church. Dearly loved husband of Stephanie and cherished Father and Father-in-law of Carleen and Robert, Sonja and Giles, Deanna and Paul, and Petreece and Bob. Loving Grandpa of Milos and Mariam, Mara, Terence, Gregory and Madeleine. God has you now in his keeping, we have you in our hearts. Requiem Mass to celebrate Frank's life will be held at 11am on Tuesday 6 June also at Christ the King Catholic Church. 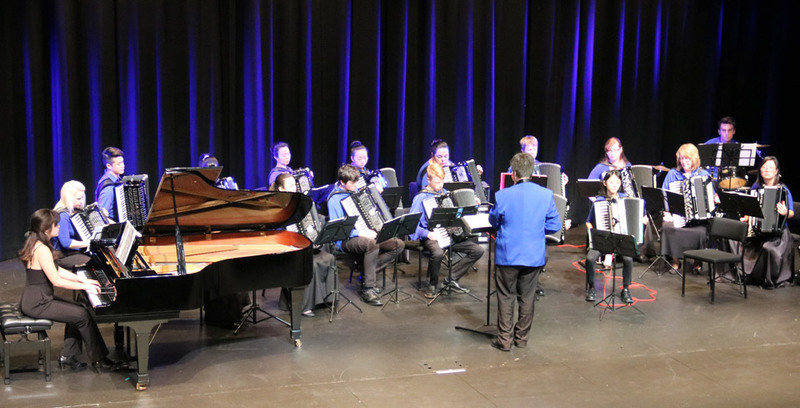 Auckland Accordion Symphonietta conducted by Lionel Reekie. 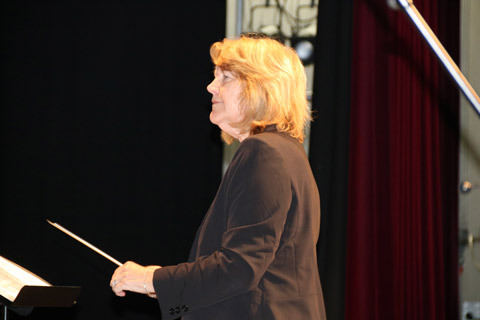 received tremendous applause from the audience. 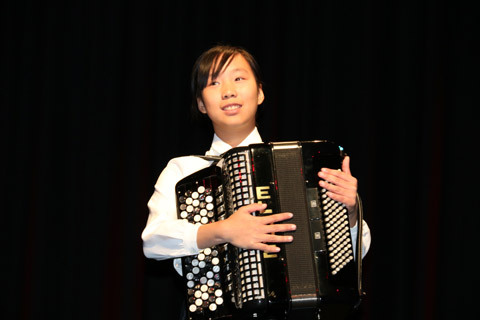 Angela Chen, 1st South Pacific Accordion Solo Champion, 15 years and under. 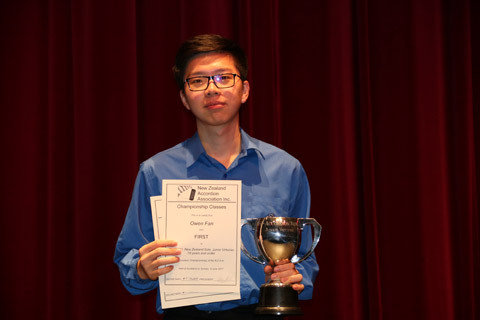 Owen Fan, South Pacific Junior Virtuoso Entertainment Champion (under 18 years). 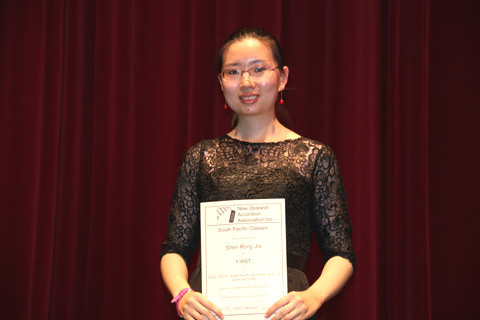 Catrina Lin, South Pacific Junior Champion (under 18 years). 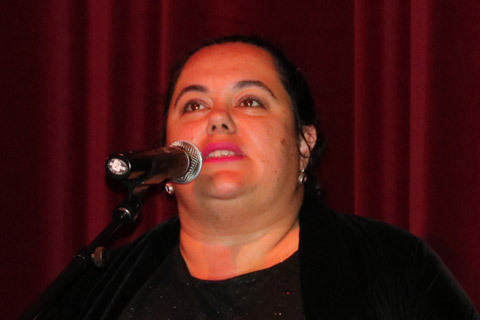 Harley Jones, Confederation Internationale des Accordeonistes (CIA) Public Relations Manager, told the audience of how the CIA Award presentation for past NZAA President John Statham had not been fully completed because the award certificate had gone missing at the presentation venue. 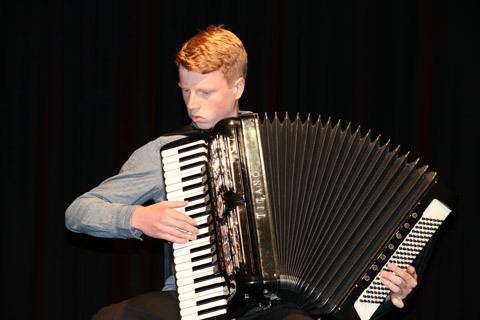 Another certificate was promised and when this had arrived in New Zealand, Harley Jones had made the error of carefully putting the certificate in a "very safe place" before going to European accordion competitions and festivals for two months. Upon his return, this certificate could not be found!!!! 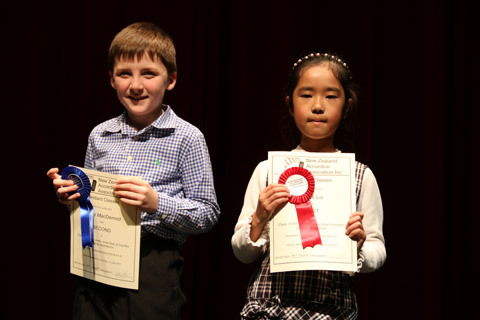 Luckily, the certificate was finally found this morning so it could be presented to John Statham. 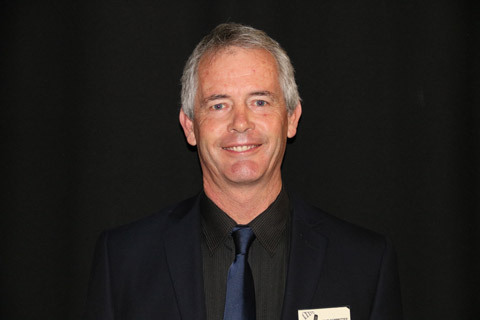 John spoke to the audience of his years with the NZAA as President, the two times as compere for the Coupe Mondiale in Auckland in 1980 and in Takapuna in 2009 and warmly thanked all the volunteers who had made all the NZAA events for the last 45 years a success. He wanted them to know, that this CIA International award was also their award. 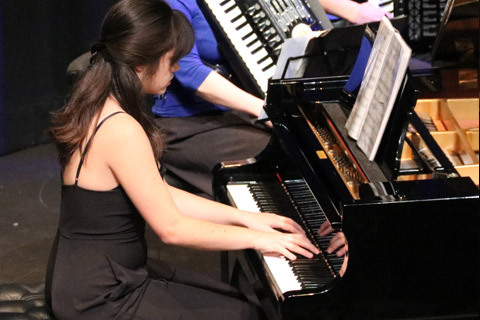 Video: Shen Rongjia (China) performing BMV854 Prelude 9 in E Major. 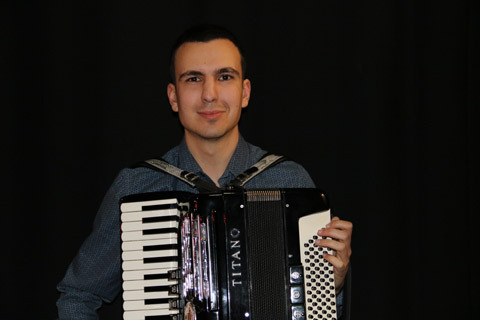 Maurice Jones was born into an accordion playing family with father Allan William Jones and four of his uncles and aunts also playing. He often played duets with his brother Harley, recording a duet album and winning television talent shows together as children. 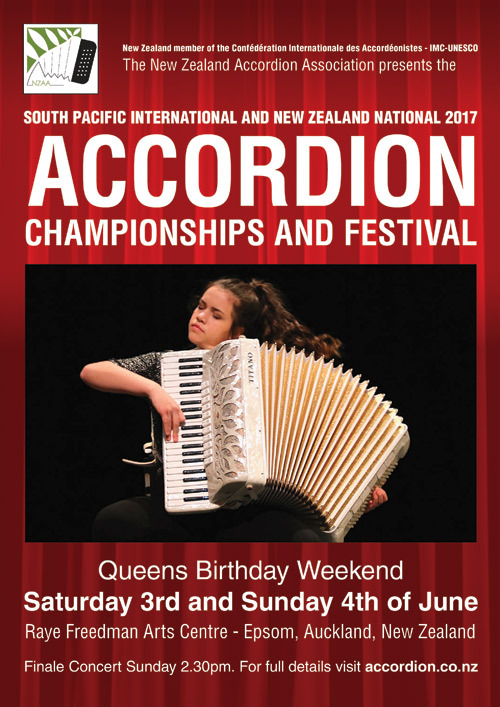 Maurice was the first NZAA New Zealand Solo Accordion Champion in 1971. 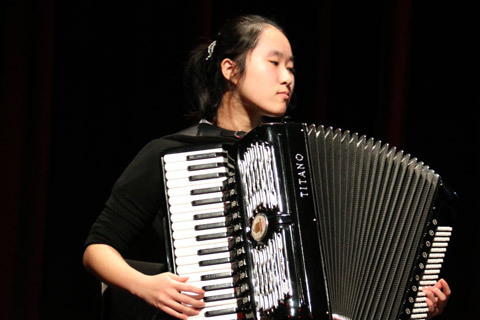 He became a professional accordionist who played and often filled in for other professional entertainers. 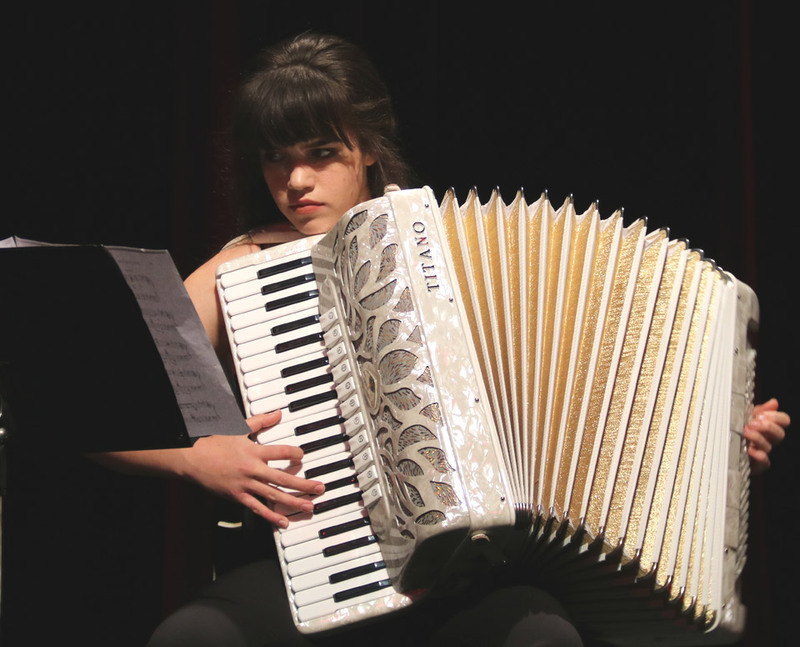 He was an early adapter of the Electronic Accordion, performing Rock and Roll and modern pieces with this new technology. He performed as a session musician on many TV and radio commercials and backed many artists, including the No 1 New Zealand hit “French Letter” by the Herbs. 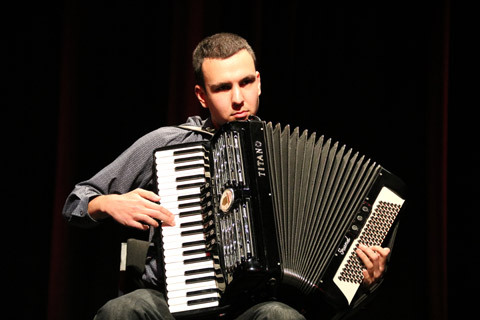 He has performed with the North Shore Accordion Orchestras on many occasions and tours. 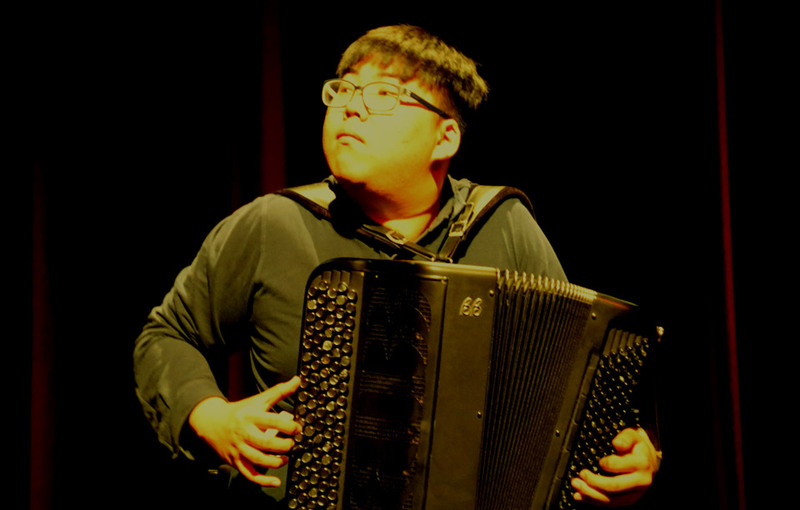 In 1997, he was invited by the Chinese Accordion Association to perform the first performances on the MIDI electronic accordion in all the major centres in China and again in 1998 gave workshops on modern accordion techniques with the MIDI synthesized accordion. He was a factory demonstrator at the Frankfurt music fair which is the world’s biggest music exhibition for many years. 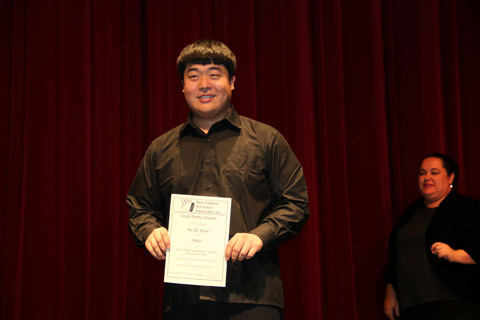 He has adjudicated internationally in the USA and Australia. Maurice formed Starlight Duo with Lionel Reekie and they have performed both in New Zealand and overseas. 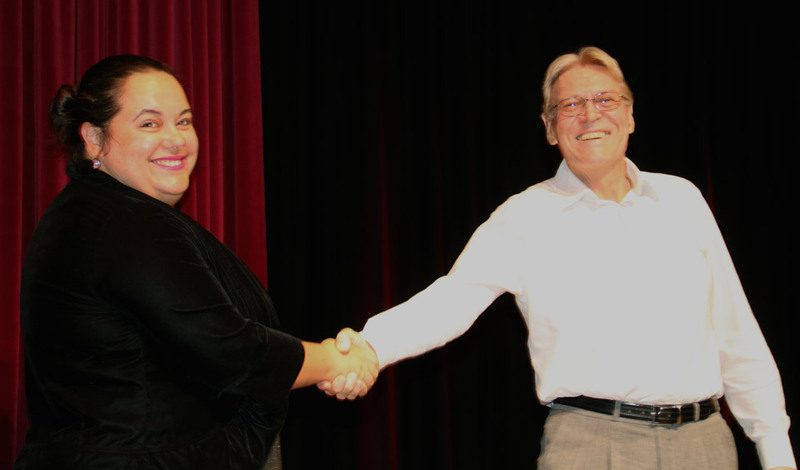 He also performs duets with his daughter Alanah singing. 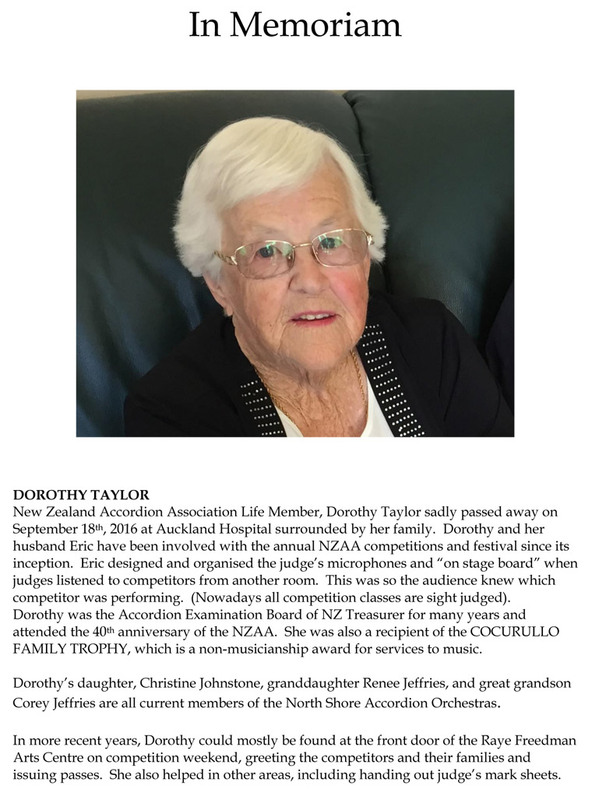 He has performed at all NZAA fundraisers, concerts and dinner dances, providing sound systems, instruments and entertainment. 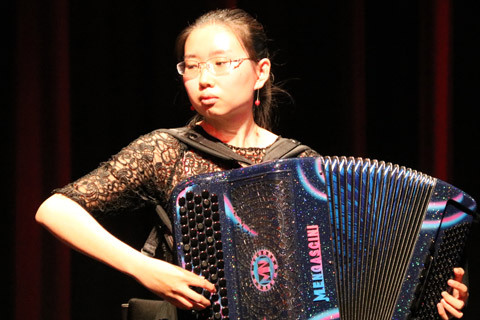 For the last ten years, Maurice has performed at the Dargaville Museum fundraising concerts and has been a major contributor to the extensive accordion collection housed there. 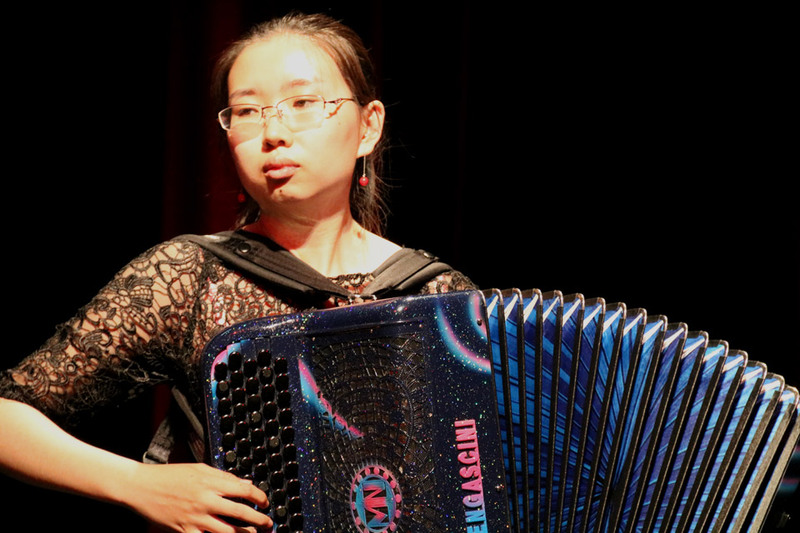 Since 1980, Maurice has been Manager of Titano Accordions and later Accordion House importing and selling accordions. 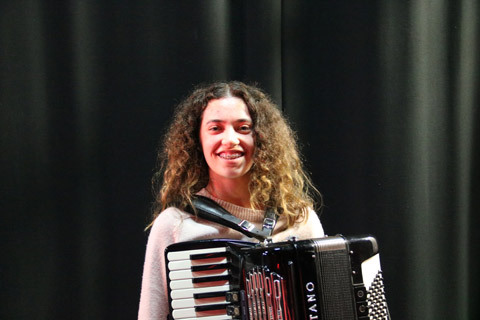 Having spent time in Italy learning the craft of accordion repairs, he has fixed our members’ accordions and kept them all in perfect running condition for decades. 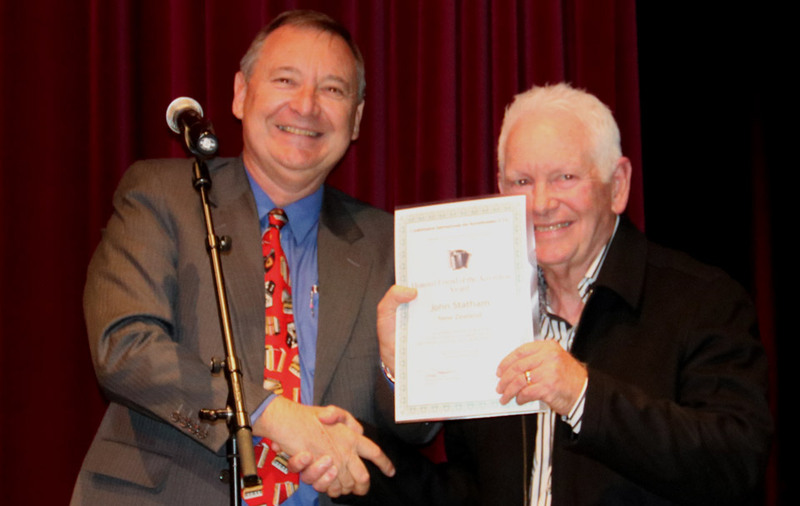 On behalf of the New Zealand Accordion Association, in recognition for his outstanding contribution and services to the accordion movement in New Zealand, I wish to present to Maurice Jones, the Association’s highest honour being life membership. I am sure you will all agree that he is a most deserving recipient of this award. 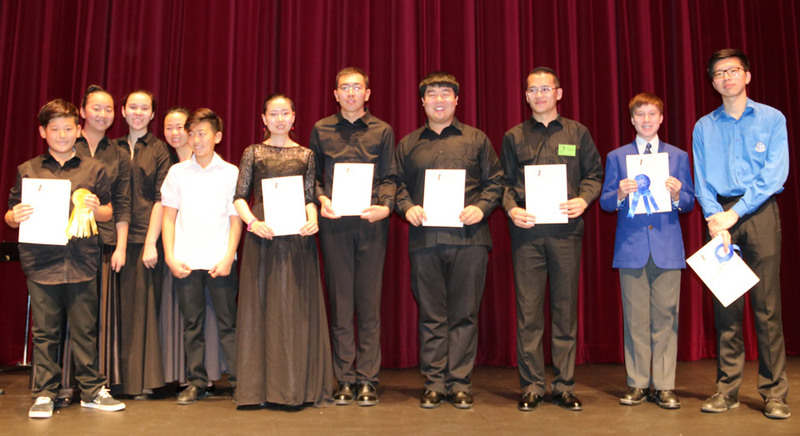 Quartet: Rongjia Shen, Chen Yang, Zeyuan Niu, Mengyang Li. 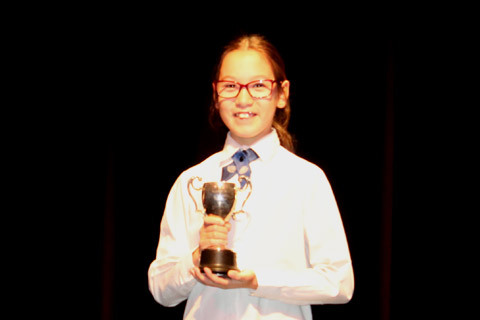 2nd place at the recent Klingenthal International Competition in Germany. and wished them all a safe journey home as he formally closed the 2017 competitions and concerts. 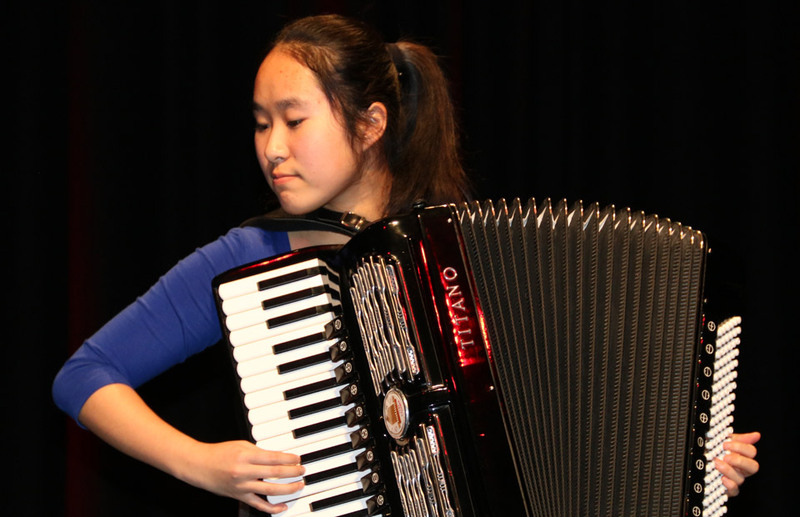 Cecil Smith Trophy: Accordions Alfresco Trio of Sydney, members are: Amelia Granturco, Ben Pattinson and Alex Zhao. 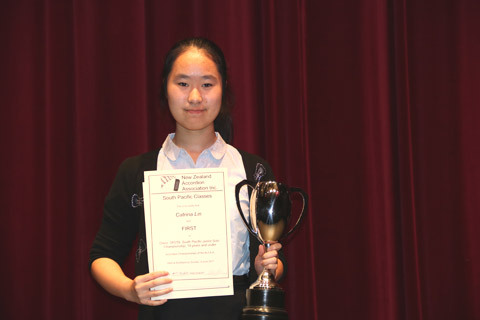 Emmett Family Classical Ensemble Trophy: Ave Accordeon quintet, members: Annabelle Ding, Eric Max, Lian Jones, Alanah Jones, Andy Max. 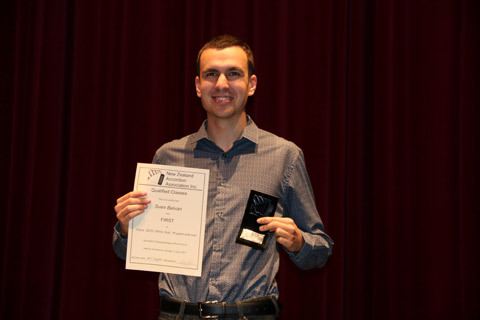 Ben Emmett Accordion Orchestra Commendation Trophy: Auckland Accordion Symphonietta conducted by Lionel Reekie. 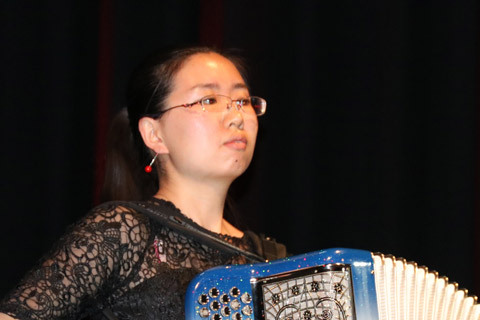 The Farewell Dinner includes the prize giving for each South Pacific Accordion Championship category and the Special Awards winners listed just above. The pictures are not named.